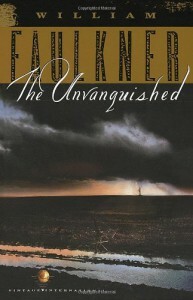 Read this book in order to understand the culture of the South during and shortly after the Civil War--Faulkner's view of it, anyway. It's a collection of related short stories in chronological order, and the last story, "An Odor of Verbena," is key. "An Odor of Verbena," which concerns dueling, the demand for violent revenge to satisfy family honor, and the human cost of such a culture, was required reading in the Southern American culture course I took.